Amy and Maska are on the blog today with some great projects. Check them out! 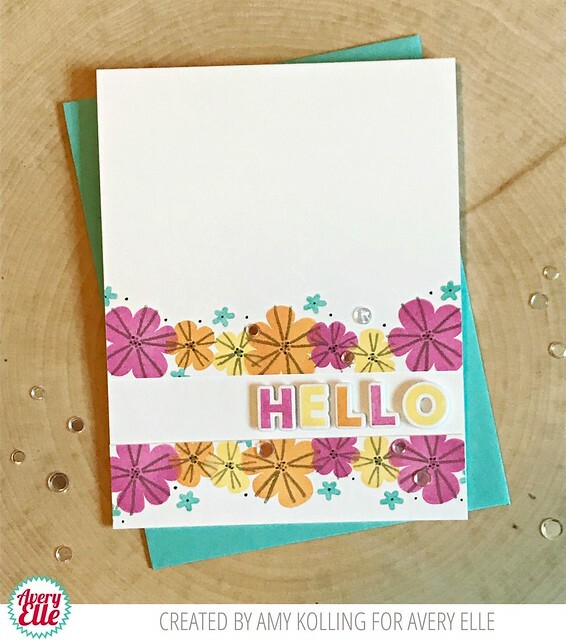 Amy stamped images from our Tropics clear stamp set and paired them with the stamped and die cut letters from our Modern Alphas clear stamps to create this first card. I love how fun this is! Maska created this next artsy card using the cute food images from our No Way and Cool Treats clear stamps.